That was pretty much the thinking at Saraband Towers a couple of years ago, and Contraband was born, shortly after Saraband won the inaugural Saltire Society Scottish Publisher of the Year Award. As the only dedicated crime, thriller and mystery imprint in Scottish publishing we already had a USP but, from the get-go, we also wanted to be genuinely different. Your ‘messed-up-cop-on-the-trail-of-a-deranged-killer’ yarn definitely has its place, but we knew there were writers out there bubbling with fresh ideas and creating stories that were imaginative, sometimes offbeat, always original. Take Graeme Macrae Burnet’s new book, His Bloody Project, publishing November 2015. Set in 1860s Wester Ross, it’s the story of a brutal triple murder and a whydunnit (rather than a whodunnit). Ingeniously recounted through the accused’s memoir, trial transcripts and newspaper reports, it’s the kind of complex and mesmerising thriller that fans of Peter May’s Lewis Trilogy or Hannah Kent’s Burial Rites will love. Throw in a soupçon of metafictional skulduggery, and you have a crime novel that’s so much more than just a crime novel. 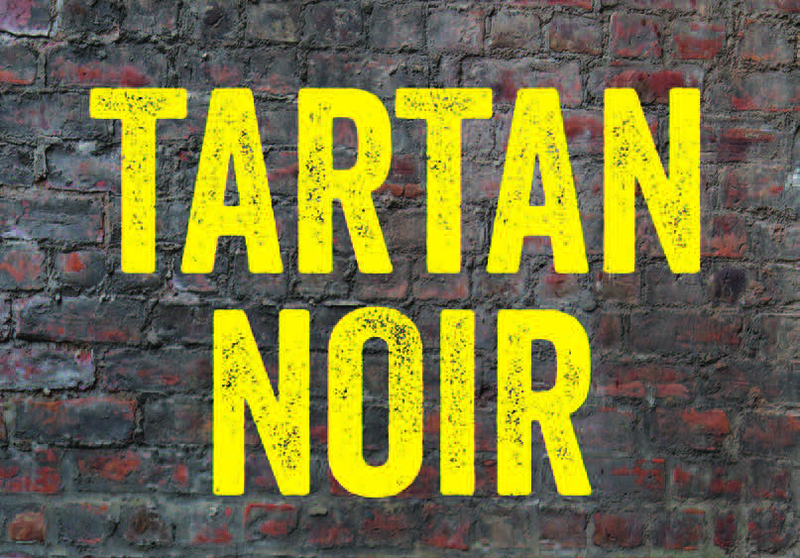 So, our raison d’être from the very start was to publish an eclectic range of crime and thriller writing – ranging from pacy detective stories to intriguing enigmas – and to give a platform to the most exciting new authors, especially those from Scotland. Happily, and by no means unexpectedly, we soon began receiving some very high quality manuscripts. With an embarrassment of riches we simply began publishing those novels that we loved the most; those with a spark of genius, those with bewilderingly clever plots or, in the case of Neil Broadfoot’s Falling Fast, the book that grabs you by the throat on the first page and never lets go. Falling Fast has ‘thrills, spills, chills and kills’ and introduces us to Doug McGregor, a story-hungry Edinburgh journalist who uncovers murder and corruption at the top of Scottish politics, along with the ultimate taboo… Falling Fast was immediately shortlisted for the Bloody Scotland Crime Book of the Year Award, 2014. We could hardly have dared hope for such rapid success for Contraband and we were blown away when, in only our second year, another title was nominated for the 2015 Bloody Scotland Award. The brilliantly titled DM for Murder by Matt Bendoris, with its Twitter killer who guns down a world-famous TV celeb, is a zeitgeist murder mystery, written with savvy, swagger and a good dollop of tongue-in-cheek humour. Just as these books attracted awards attention, Contraband’s other titles were making the critics sit up and take notice , and even attracted a bit of a cult following. Michael J Malone’s gritty Beyond the Rage introduced us to Kenny O’Neill – ‘Glasgow’s answer to Tony Soprano’. At the other end of Contraband’s broad range was Graeme Macrae Burnet’s debut, The Disappearance of Adèle Bedeau, a psychological thriller that gets deep inside the mind of an awkward outsider whose past comes back to haunt him. So the story of Contraband so far has very much been about showcasing these emerging Scottish authors. And we’re set to continue in that vein in 2016 with Michael J Malone’s Bad Samaritan, the next in his DI Ray McBain series, and the exciting third instalment in Neil Broadfoot’s Falling Fast series, amongst others. We’re looking forward to another successful Bloody Scotland Festival in September 2016, following on from this year’s, which saw appearances from most of the Contraband authors. However, while Scotland remains our priority, we’re also keen to expand the Contraband range and keep offering our readers a diverse selection of titles. January 2016 will see us publish Fade to Black, the first book by English writer Steve Mullins. An über-cool noir thriller set in London, it’s a British Get Shorty for the media and film world. It’s too early to mention specifics but we’re also hoping to carry on the spirit of Saraband and publish as many women writers as possible. There’s also a strong possibility that we’ll publish crime titles from overseas, hopefully bringing even more new authors to our readers’ attention. On the other side of that coin, the first translations of Contraband titles are now in preparation for release in 2016, helping our Scottish writers strut their stuff on the international stage. 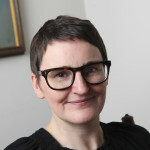 Sara Hunt is the founder and director of independent Glasgow-based publisher Saraband, inaugural winners (2013–14) of the Saltire Society Scottish Publisher of the Year award. She worked in publishing in London and New York before founding Saraband in 1994. Saraband has extensive international experience, an increasing Scottish presence, and a portfolio of innovative digital projects. The Saraband list focuses on narrative non-fiction – particularly in nature, sustainability, history, arts and memoir – and literary fiction, whilst sister imprint Contraband is dedicated to crime, mystery and thrillers. Digital projects span the full range of formats, including the acclaimed Burns Night app, which went ‘viral’, and the Scottish book discovery tool developed for Publishing Scotland, the Bookspotting app.